Your temperament plays a major role in how you parent your child. It's considered one of the five factors that determine discipline effectiveness. Your temperament influences how strict or permissive you will be with your child. It also plays a role in how much tolerance you'll have for certain behaviors. Examining your temperament and how it fits with your child’s temperament can help you find the most effective ways to respond to your child’s behaviors. Your temperament is made up characteristics that you were born with. Your temperament determines how you perceive and respond to your child’s behaviors. It also influences your relationship with your child as well as the discipline strategies you employ. Sensitivity: How sensitive are you to noise, smell, sounds, taste, and touch? How much discomfort do you experience with loud noises and how do you tolerate this discomfort? Activity level: How active are you on a daily basis? Do you enjoy a lot of activity or do you prefer a sedentary activity? Intensity: How much energy do you put into a response? For example, do you show a big reaction when you are upset or do others have difficulty guessing how you feel? Regularity: Do you enjoy a regular schedule or do you thrive on being spontaneous? Adaptability: How do you do with change? Do you jump right into a new situation or do you take the time to assess a situation before stepping in? Persistence: How long do you stick with a task? Are you likely to move from one activity to another without finishing or do you stick with one task until it is done? Distractibility: How long is your attention span and how easily do you get distracted? When examining the factors that make up temperament, imagine that each one is on a scale of one to five. It’s likely that you may be near the extreme end of the spectrum in some areas and in other areas, you may be more in the middle of the road. It doesn’t have to be an either/or situation but there are degrees to which you possess certain characteristics. The main reason why it is important to understand your temperament is that it can help you compare your temperament to your child’s temperament. The fit between you and your child can help you recognize areas where you may be a good match and areas where you may struggle. Remember, your temperament isn’t good or bad. It is simply those characteristics you were born with. And you won’t be able to change your child’s temperament but you may be able to help your child with certain things that are difficult for him once you are aware of the fit between your temperament and your child’s temperament. What If Our Temperaments Are Similar? There are certainly pros and cons to having a similar temperament as your child. For example, if you both have similar activity levels, it will likely be a good match. On the other hand, if you both have similar levels of intensity in your reactions, you might end up in some heated disagreements. Emotional reactions can be contagious as well so if you are really upset and your child has a similar temperament, it may cause your child to get really upset. What If Our Temperaments Are Opposite? There are pros and cons to having opposite temperaments. Imagine a parent who loves to be spontaneously raising a child who really needs structure and a routine? It can lead to some behavioral problems as the child will likely be anxious and upset when he doesn’t know the plans ahead of time. However, opposites can sometimes balance one another out. 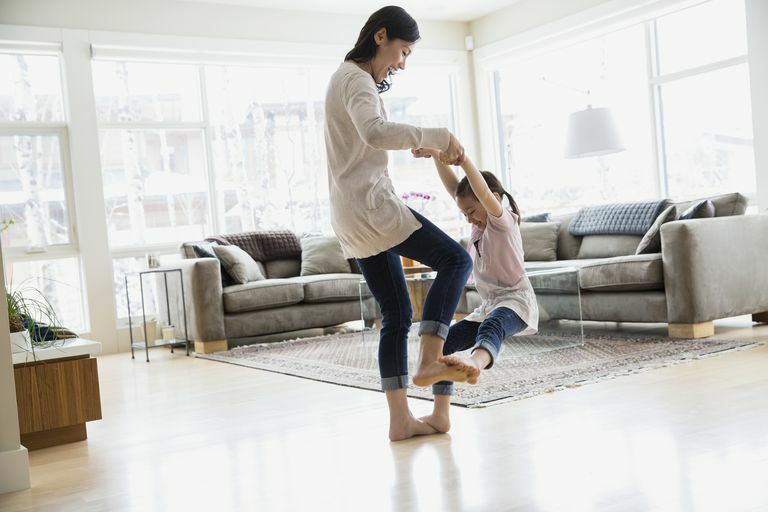 A parent who is very adaptable—but is raising a child who quite rigid—can assist the child in adjusting to activities by showing patience and modeling new activities. Being aware of your temperament and the fit with your child can help you recognize areas where you may struggle to discipline your child. For example, if you are sensitive to noise and you are raising a four-year-old boy who is very active, how can you respond appropriately? It can be helpful to recognize that his behaviors are normal and your tolerance level for normal behaviors is low. Although you can’t change your temperament, you can change your parenting techniques. Determine what areas are your strengths and what areas may be weaknesses. Take a look at your discipline toolbox and look for new strategies that may be more helpful to your child. Atzaba-Poria N, Deater-Deckard K, Bell MA. It takes more than one for parenting: How do maternal temperament and child’s problem behaviors relate to maternal parenting behavior? Personality and Individual Differences. 2014;69:81-86. Grady JS, Karraker K. Mother and child temperament as interacting correlates of parenting sense of competence in toddlerhood. Infant and Child Development. 2016;26(4).